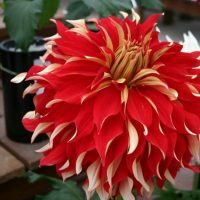 3.5 inch blooms on a 4 foot tall plant.The blooms are good for showing, Cutting, and the garden. 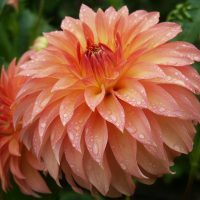 The petals that frame the dome is where the Anemone type dahlias get their color classification from. 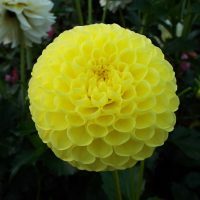 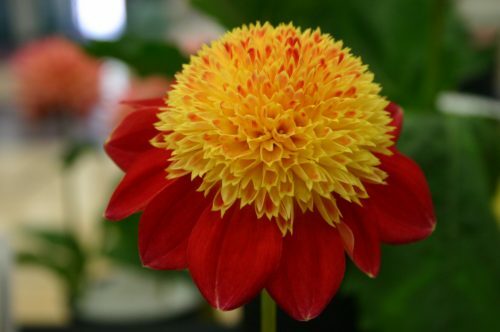 The “Dome” is what makes an Anemone dahlia, Alpen Fury’s dome is yellow and red.